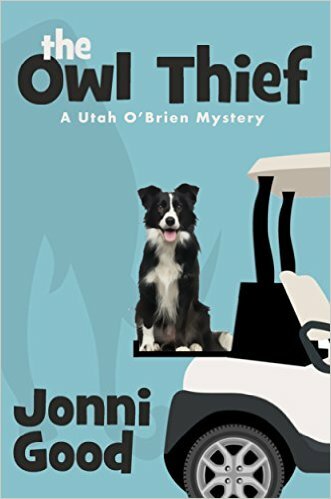 When the body of a local real estate agent is found at City Hall wearing one of Utah O'Brien's hand-made masks, it's obvious that someone is trying to frame her for the murder—but is it the same person who killed Larry Webb? The timing for this crisis couldn't be worse. There's a local election coming up in three days. Utah is running in that election, and she hoped to win. The scene of the murder couldn't be worse, either—only six people have a key to City Hall, and Utah O'Brien happens to be one of them. The sheriff is out of town on a more important case. If she's going to clear her name, regain her reputation and, hopefully, win that election, Utah and her friends need to unmask the real killer before the voting starts—and before anyone else gets killed. You'll like this book if you enjoy character-driven mysteries that include dogs who take an active, realistic role in the plot. It's filled with likable small-town characters and plenty of twists and turns to keep you guessing. This is the first Utah O'Brien Minnesota Mystery.